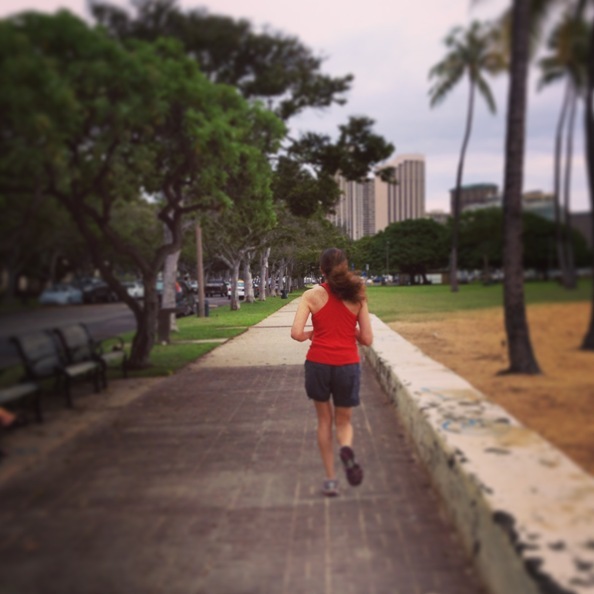 I was able to get several runs in at Ala Moana beach (a 15-minute drive from Mom’s house without traffic) during our short Hawaii vacation – yay! Definitely needed some exercise to balance all the sugary foods I consumed (if you can resist multiple helpings of the haupia pie that is eyeballing you from the refrigerator every day, you are not normal). I saw someone using this, too! Last morning run on our day of departure. This entry was posted in Beauty, Hawaii, Health, Places and tagged Ala Moana, Banyan Tree, Beach, Beauty, Cafe, Exercise, Fresh Air, Hawaii, Health, Local, Morning Run, Nature, Oahu, Outdoors, Palm Trees, Phone Booth, Photography, Photos, Places, Run, Running, Travel, Tree. Bookmark the permalink.